On May 4-5, some Japanese puzzlers solved puzzles from 15th 24HPC in Joes' home. Almost two months have passed, but these days I have some time to review and solve the remaining puzzles, so here are some notes about my experience and feeling. Scores can be seen here as a reference (I think you need to download to view properly). Lovely theme. My target that day was 900 points in each round, and I thought both of Magnets variants are low valued compared to the amount of work, thus I started from Japanese Sums and went backwards. After going back, I moved on to Magnets, but I broke it and I did not have enough time to retry. I felt Compass has more chances to work well with other rules. I started from the highest. 25 minutes were left after smooth solve. My plan was not checking till the end, but taking rest after checking once. I used 5 minutes in this round, and it turned out to be error-free. Started from Four Colour Masyu and then Exclusive Mix, but sadly I made a mistake in the last cells of Masyu. First one of Skyscrapers [Chaos] was harder than expected. Considering the point value, I feared to solve second one and solved Tents and Trees, which I saved for last, in the end of the round. But that Skyscrapers actually was very comfortable one. I regret having passed it. We solved all 14 rounds, but the Japanese round was the last round because some participants are authors/test solver. So next was Round 5. This was my second choice for ignoring round, and in fact I should have chosen this round. Targeting 900, I started from Voyage to France, but this was the start of the collapse. 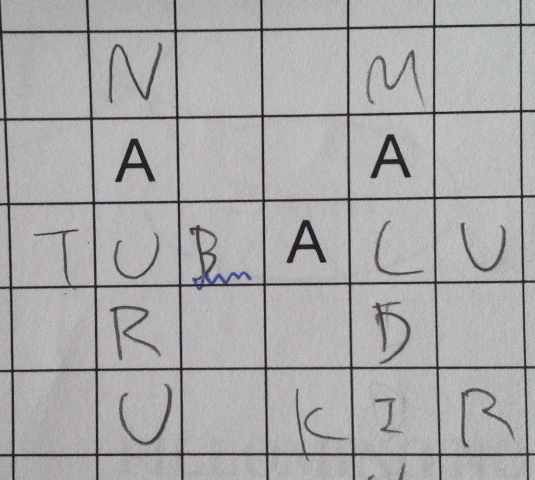 One more trouble was in DNA Sudoku. I thought the letters were only for "easier tracking", and believed the connected point was 5. Second Tapa was my error. I like Spy Battleships type, by the way. My most disappointed round. Mainly because I broke Summons many times, and because I could not find how to solve Loopki. Changing a puzzle into another type is my favorite, but I even broke it! And I feel Loopkis are great, too. I had checked the patterns, but did not understand it enough. I regret not solving Compass, too. Yes, I could not find the entrance at first glance, but giving up good puzzle is my sadness. I could not finish second Star Battles, and the others are my errors. In my feeling, points distribution is inappropriate in many places, and hard puzzles tend to be try&error. 75 minutes for solving, 5 minutes for checking, 20 minutes for the rest; same as Round 2. The difference is that I made errors. The puzzles are stable. I am curious about the unfamiliar grid size. Slash Pack can be solved so easily when uniqueness are used. It is too much valued in this sense. I wanted to solve at least one Battleships in Hexagon, but they were impossible. I have not solved them yet. Frankly, this type breaks the round. IFF rule should be inappropriate here. Second Thermometer-Ying Yand had no solution. It was easy to find, so during the round we discussed and decided to treat everyone as correct. Scrabble had multiple solutions (probably 3 patterns were submitted at that time). My ignoring round. Arrow Maze was marked incorrect because of ambiguity, but I felt it is solvable. Even if this was ok, this is still my least raw score, but I made a bad choice in the sense of contest points. They are much amount of try&error and were a bit too hard. In Arrows, I prefer second one for the same reason. Same experience as Round 2 or 8. Surprisingly, every time when I saw my watch, it showed "1:15". The puzzles were comfortable and good for the rest. It had been better if I had used symmetry in first Triple Block. 15 minutes were left. I began feeling tired, and the puzzles themselves were harder than in Round 2. I solved intuitively in Fillominoes. I started from high pointers again. Consistent theme through two rounds. In Japanese pronunciation it can be B.... Our typical confusion is L/R, but B/V here. Another error was in first Mastermind. It is so confusing to use a digit twice. I felt first Group Sum Doppelblock is easier than second one. I am missing something with this type? Because of some troubles, I had little time for Dissection. I managed to solve two of them in the very last second. Satisfying spurt. Stable Serkan round as usual. To be honest, this result was not expected. I am still wondering why. It is true that I am familiar with authors and puzzle types, but I think these are not enough to explain. What was critical? I left 15 minutes for second and third of Honey Islands and Curve Data, and solved these four puzzles one by one. I finished in the last minutes. Considering authors, I do not recommend to solve these types earlier. Second Battleships has cool logic. We hold this event since last year (same days). I remember that last year I thought "I do not want to solve Latin squares, but nothing I can solve is left except these!" again and again. This year I do not hate these anymore, and I could enjoy more thanks to this improvement. Next year, if puzzles are in public, we would like to use the same holidays again. We have many holidays in the first week of May, and this is called as "Golden Week". Timings are fixed, but international participants are welcome of course. I expect English instructions from organizers. 1. Top 4 players are in A-team. 2. Next 3s are in B-team. 3. If these 7s include at least one newcomer, next one is in B-team. If not, top newcomer is in B-team. JPC is the event I can find least meaning for win. I still remember my disappointment two years ago. Ko is not in organizing team this year, and the selection is tough as usual. At least I have the right to go to Sofia because of Puzzle GP, but.... Let's see what will happen. Two contests are held in different days this year, so I will join in JNPC, too. My fear is that I accidentally get A-team seat. I think the tendency of JNPC is different from that of WSC or other contests; it is rather puzzlish. With my position and eagerness about Sudoku, it is enough for me to compete unofficially in WSC. By the way, about "puzzlish Sudoku" in conclusion. I do not think only the combinations with typical puzzle type are puzzlish. I do not have enough words to explain the difference well, but a typical example is Killer Sudoku; Japanese authors tend to make this type without fully using cages, and I am comfortable with this just as a puzzler. It seems that some sudokers do not want a part of puzzlish Sudoku. But I do not know where is the boundary. I talked with Kota about this, and agreed that the boundary should be determined. I fear that I cannot meet good puzzles due to the ambiguity today. 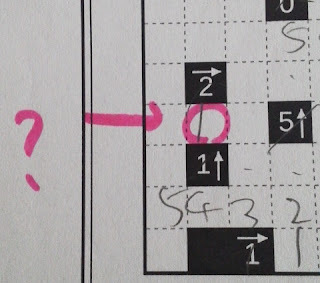 If you say these types do not fit Sudoku tests, they can appear in puzzle tests. 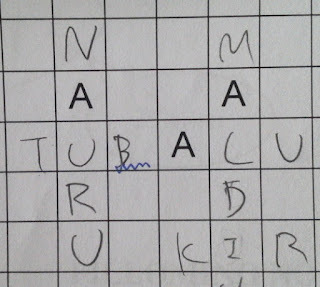 Sudoku is a kind of puzzle, anyway.